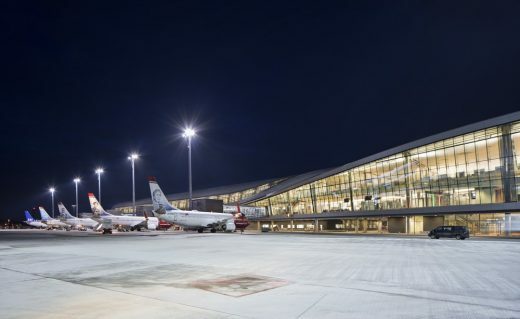 Oslo Lufthavn – Jun 15, 2018 08:00 BST – Avinor has decided to expand the area after the passport control at Oslo Airport, which will provide a significantly better service to people travelling to and from countries outside the Schengen Area. Construction work starts on the 1st of October 2018 and the expansion will be completed in the second quarter of 2022. 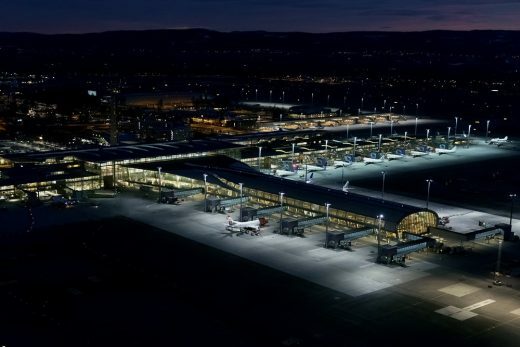 – This expansion is important for developing Oslo Airport as an international hub. 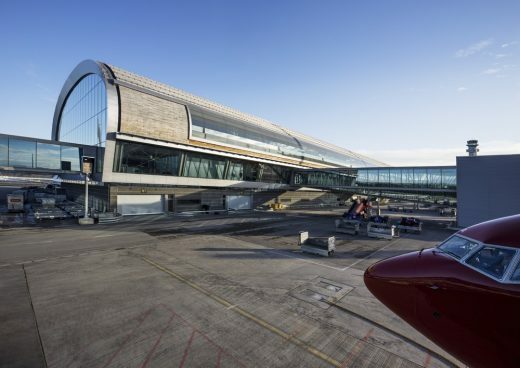 It will provide increased capacity and improve conditions for our passengers and airlines, as well as improving the framework conditions for Norwegian travel, tourism and business – which is an important part of Avinors strategy, says CEO of Avinor, Dag Falk-Petersen. The current capacity of the area for traffic outside of the Schengen Area is 5.5 million passengers per year, and following the expansion it will be approximately 8 million. – In recent years, traffic to and from countries outside of the Schengen Area has experienced considerably greater growth than traffic within it. There will be a total of 14 aircraft parking spaces, four of which will be flexible gates that can handle traffic from areas both inside and outside the Schengen Area. The extension will provide a total area of 39,700 sqm for travellers to countries outside the Schengen Area. – The current area will be extended, with new aircraft parking spaces that are suitable for larger planes as well as new commercial areas. The total budget for the extension is NOK 3.3 billion and is financed by Avinor. The ground works will start in the fourth quarter of 2018. 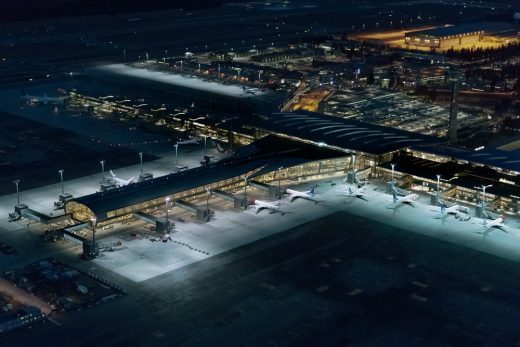 March 2018 – Gardermoen Airport in Oslo has recently been extended by Nordic Office of Architecture, with lighting design by Speirs + Major. The 140,000m2 update of the original 1960s terminal focuses on customer experience as the top priority, closely followed by sustainability. Spacious and airy, the resulting spaces are characterised by light and transparency, offering passengers a clear sense of orientation to relieve travel pressure and provide peace of mind. 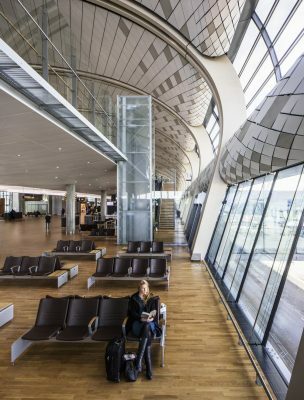 It is the only airport design to have achieved a BREEAM excellent rating. The design of the airport is focused on capturing as much natural light as possible. Where changes in the weather and natural seasonal transitions begin to reduce this, the artificial lighting system has been designed to smoothly and imperceptibly step in, minimising any perceivable distinction between artificial and natural conditions. Integrated artificial light sources adjust in response to external shifts in both light level and colour temperature, over the course of the day and across the seasons. This creates a consistently pleasant and uplifting environment that is fully connected to the surrounding natural environment, making the transition to a new city or country smoother and more enjoyable, while also saving energy. The design also makes use of the colour temperature of light as an intuitive language in the airport during the hours of darkness, to aid transition and wayfinding. Noticeably cooler and fresher colour temperatures on the bridges and exterior areas surrounding the new North Pier mark the transition to and from airside, leading to the warm welcome of the interior terminal spaces. This approach also creates a beautiful contrast within the lit image of the airport externally. Speirs + Major is an award winning design practice that uses light to enhance the experience of the visual environment. Our work is wide-ranging in type and scale, and encompasses architecture, strategic branding and innovative product design. Winning entry in an invited competition for new terminal and pier at the existing airport to increase capacity from 20 to 35 mppa. Team Architects: Senior Aviaplan Staff: Roald Sand, John Arne Bjerkens, Christian Henriksen, Geoffrey Clark, Ole Tørklep, Erik Urheim. Narud Stokke Wiig Architects & Planners/Aviaplan is an Oslo-based office operating world wide. NSW offers full services in contemporary architecture and planning, urban and interior design, as well as in industrial and graphic design. The practice specialises in large scale projects of high complexity and have completed a range of hospitals, university buildings and airports, including the Oslo International Airport and Hyderabad International Airport in India.